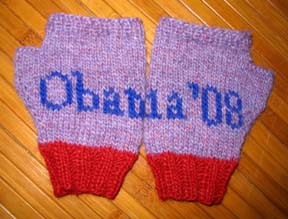 I made these gloves for the cheerful barista at an Obama-friendly cafe. I put them in her tip jar. Reports are they've been a hit on her university campus.